In stock 73 items in stock. Jumper wires are awesome. Just a little bit of stranded core wire with a nice solid pin connector on either end. They have the flexibility of stranded wire but will fit directly into breadboards and female pin headers. The only downside to the standard jumper wires we carry is that they're a tad too thin to use for most power applications, so we got some beefy ones! These 20AWG jumper wires work just like our smaller gauge premium jumpers except that they can handle a little more juice. If you've ever been unsettled by warm jumper wires, give these a try! 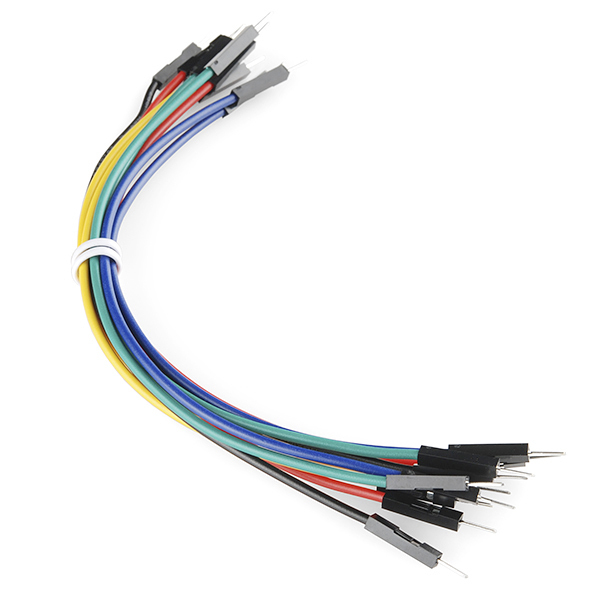 This pack contains ten 6" jumpers with a male pin header on either side. 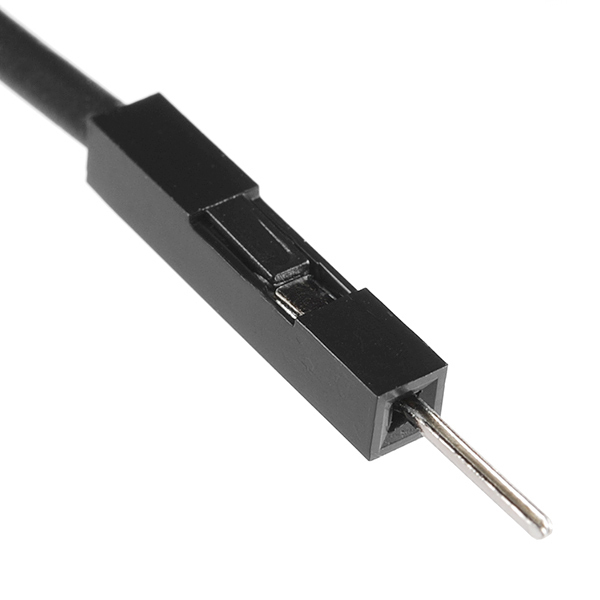 Are the male pin headers any thicker than the smaller gauge wires? I ordered a whole slew of the thinner wires and they are very loose in my breadboards. They're the same connectors that the smaller gauge premium wires have. Housings are 2.54mm (0.1") and the pins themselves are ~0.65mm wide give or take.